I got here a few records which looked if they are scratched. 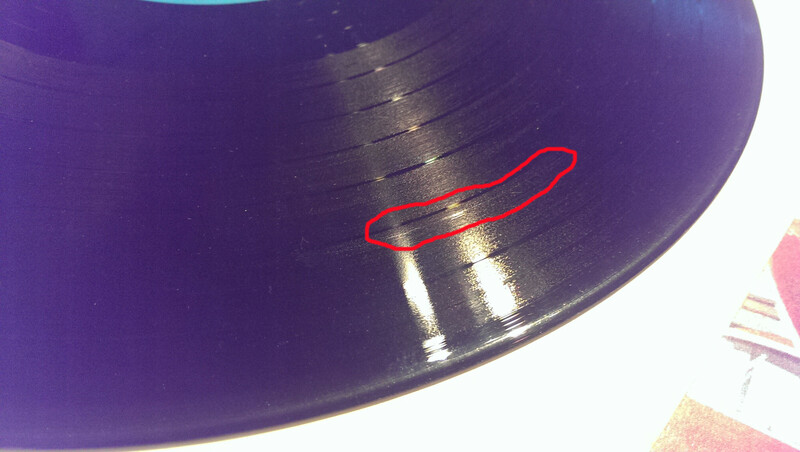 The scratches (if they are scratches) look like grooves. 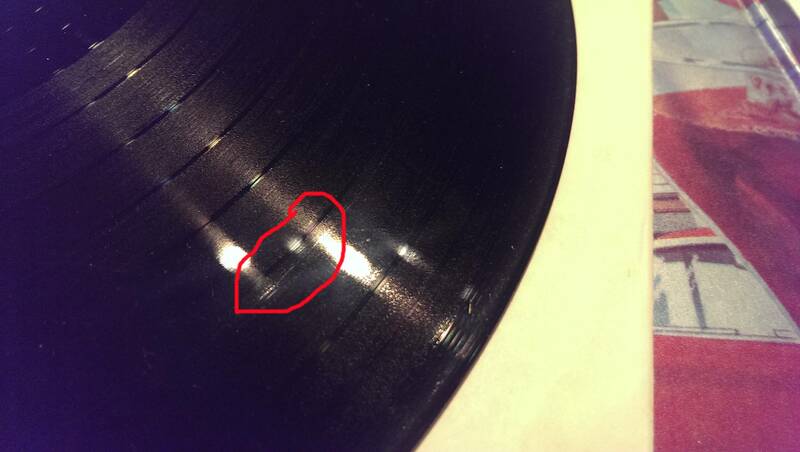 (They lay exact in the same direction as the grooves) But if I listen to this records, you hear nothing, just music. No cracks or jumps or something in between, only music. I tried to make two pictures, where you can slightly see the scratches. Can someone tell me what this is. Are these light scratches or do they only look like scratches. Sometimes frequencies in the recording do just seem to highlight better than others. If there is a particularly board-spectrum sound at that point, white noise or something high & 'fizzy' there's a chance that could do it. Also, possibly very quiet or even silent passages may produce a highly reflective surface. An extremely blunt or cracked/split stylus can damage the very top of the 'valley' of the groove; or something got jammed around the stylus at that point, but then moved away or was left behind; or at one time extra pressure was applied just at that point on a shallow-point stylus; or if it was a frequently-used cue-drop-point…. or something was spilled, a tiny droplet that the stylus took with it & spread for a few seconds, subsequent passes would clean out the stylus-path but not the top of the groove. In all these, if only the top of the groove was affected, a good, clean stylus wouldn't 'see' it on the way past, so it would still sound fine. Not the answer you're looking for? Browse other questions tagged vinyl or ask your own question. What gives vinyl records their characteristic sound? Standard vinyl vs Audiophile/Weighted vinyl - What's the difference? Are some vinyl players more forgiving to skips and crackles than others?